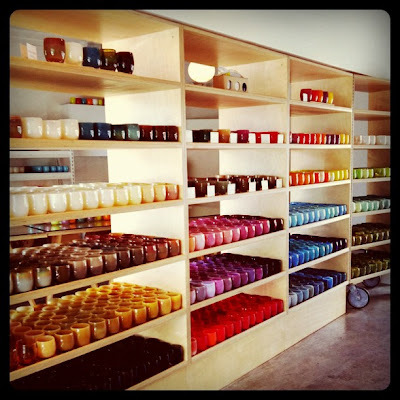 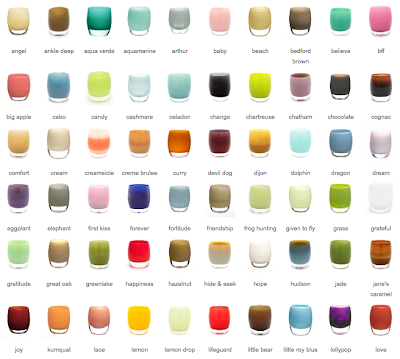 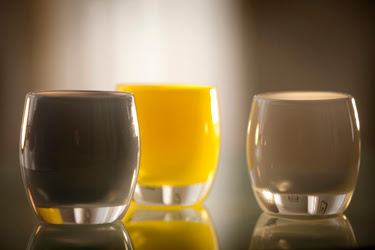 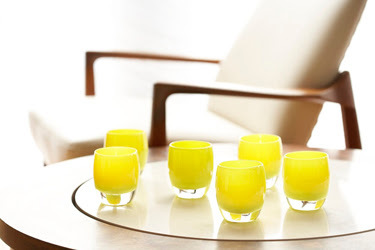 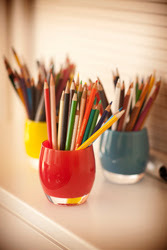 i just love glassybaby, not only do these little glass orbs make me happy but as a shop they have donated more than half a million dollars to several charities(amazing!). 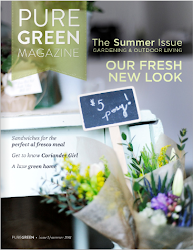 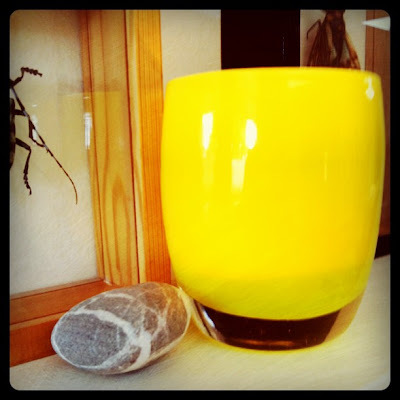 I stopped by the Bellevue shop and picked up a lovely bright yellow/green glassybaby to place on our mantle. maybe it has something to do with being raised Catholic but every time i light it up i smile and take a moment to give thanks for all the love, light and luck we have in our lives. 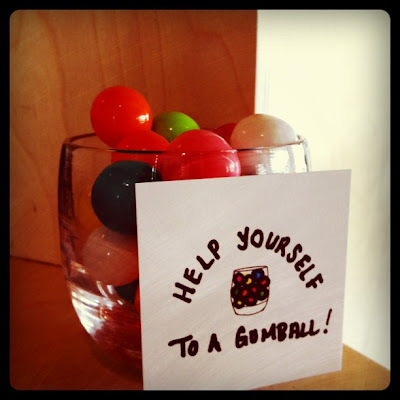 oh and if you are planning an event and would like to have a lovely glow in the atmosphere glassybaby rents each little glass orb for just $5!